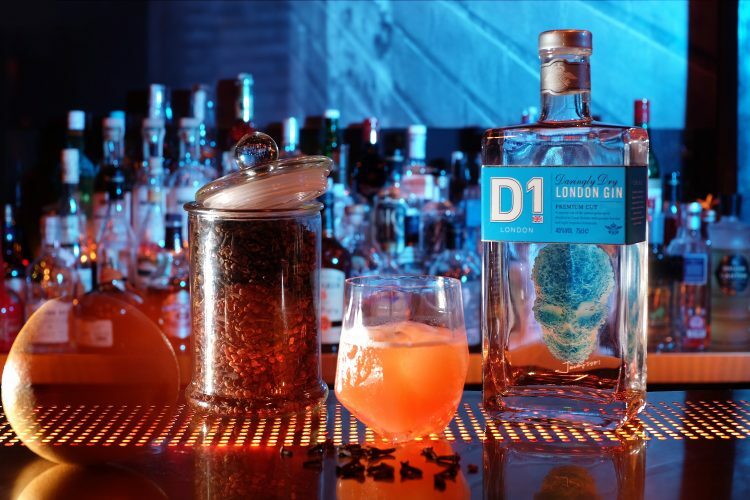 D1 London Spirits has introduced the D1 International Cocktail Exchange to help bring a new way for cocktail connoisseurs across the globe to enjoy international craft cocktails. They have paired 9 of the UK’s best cocktail bars with bars in South East Asia to swap signature cocktails. It’s about exploring and understanding the nuances and character of different places and very local flavours, which can be found in the carefully curated cocktails served with an element of theatre in these hand-picked world-class bars. I headed down two of the bars, Lanes of London and Samarkand for a taste of South East Asia. The warm glow of flickering candlelight led me up a set of stone steps to the entrance of Lanes of London, which effortlessly exuded exclusivity and exceptionality. I pushed the door open and a flush of warmth welcomed me from a cosy log fire, surrounded by a marble mantle-piece and art-deco style mirrors. The romantic candle-lit room transported me to a sanctuary of serenity. The bar at Lanes of London, which is just a stones throw away from Hyde Park, offers an extensive cocktail list. If you have a taste for something a little more distinct the staff are more than happy to shake you up something special. I sat down in a secluded booth feeling separated from the chaos of the city which I could see through a large window beside me. Surrounded by antique mirrored glass and plush furnishings, I sat back and anticipated the exclusive cocktail being expertly mixed for me. 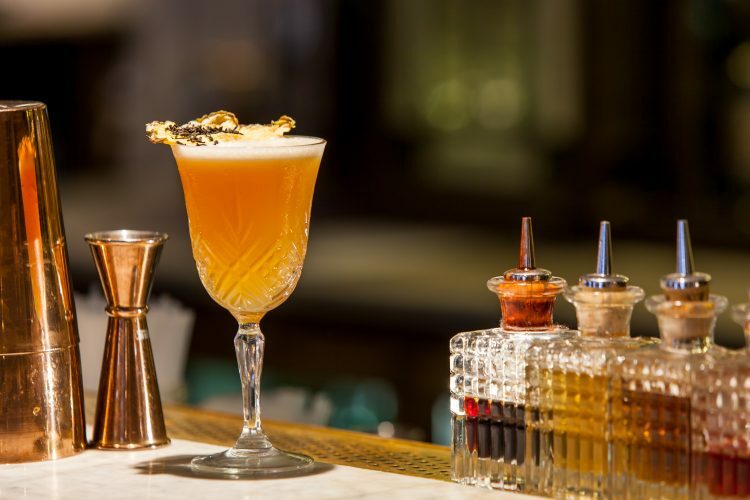 The Bing Shi by Miaoqian Bingshi in Guangzhou is a dark concoction of D1 London Gin, Japanese Plum Wine, Lime Juice, Egg White, Angostura Bitters, Jasmine Syrup and Sugar Syrup with Shisho Leaves. The dark and festive were intoxicating, I sank back into the chair, listening to the crackle of the fire. Next, I selected The Nicola 6 which consisted of Finlandia Vodka, Chambord, Strawberries, Cucumber, Lemon Juice and a Prosecco foam. This was a more refreshing offering which wrenched me away from the autumnal surroundings I had settled into and threw me back into long and lazy summers day in Hyde Park. 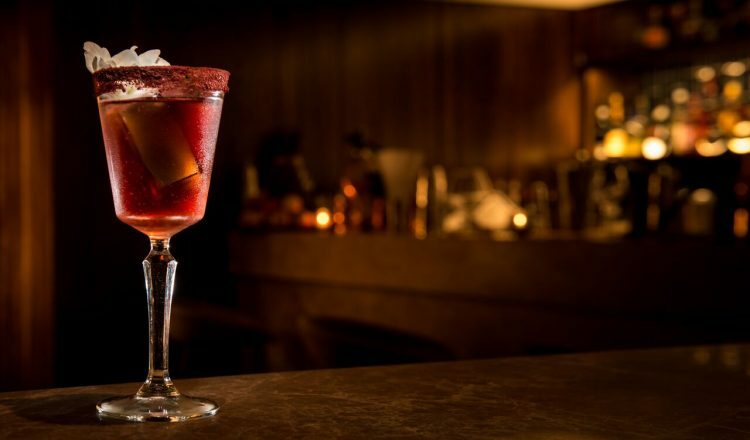 The final offering at Lanes of London was a barrel-aged spirit blend named Hanky Panky. It was a delicious mixture of D1 Gin, Mancino Rosso Vermouth and Fernet Branca and revitalised the senses. I headed back onto the bustling streets and made my way to the final destination of the evening, Samarkand, Fitzrovia. Behind an inconspicuous black door on Charlotte Street lies an underground secret: Samarkand. It is the first Uzbek restaurant in London and seamlessly blends the intriguing cuisine of Uzbekistan with an exquisite collection of more than 40 vodkas. It offers a treasure trove of flavours from the historic Silk Road in a chic underground hideaway setting. A mezzanine bar lies separate from the restaurant where I enjoyed a signature cocktail from a list that took over two months to create. Firstly, I tasted the Akkum Desert, which consisted of D1 Potato Vodka, Americano Cocchi infused with Pu-her tea, Campari, Tuaca and Prosecco. The ice-cold cocktail was presented in a copper martini glass with an ice skull and a long orange peel; its strong sharp smack left a pleasantly lingering taste. Next was The Metropolitan by Butler in Hong Kong, it was a much sweeter combination of D1 London Gin, Elderflower Liqueur, Yuzu Juice, Lime and Grapefruit peel to garnish. The Metropolitan followed the Akkum Desert perfectly as it cleansed and refreshed the palette and left a delicately sweet Silk Road inspired flavour. If you are looking for a night of light indulgence and distinction, look no further than Lanes of London or Samarkland.